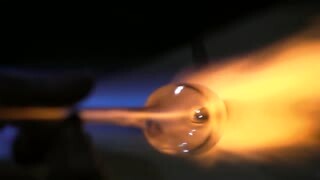 Search Results for "glass blowing"
Shaping sculpture from hot glass close up. 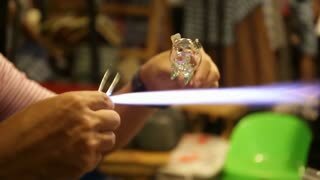 Professional craftsman creating horse sculpture from hot glass on a blower stick. Artist in blowing glass activity. 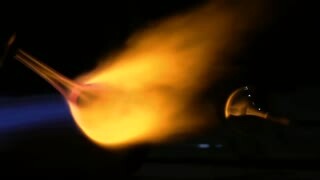 Blown glass by fire to create dog. Glass Blowing. Close up of burner where glass is formed. Kaliningrad - July 2017 Russian. 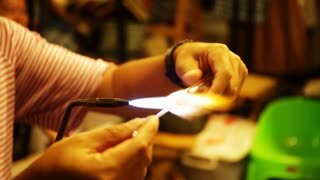 Glass blower work. 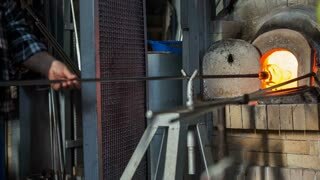 Glassblower. Work on blowing hot-glass forms working close-up. Male in close up furnace glass blowing workshop rolling molten glass onto heat proof cloth to form artistic shaped ornament. Male close up in glass blowing workshop, rolling molten hot orange glowing glass into formed shape on heat proof pad. Close up on pair of males in glass blowing workshop forming molten hot orange glowing glass against flat metal pad tool.